Gold leasing is often conducted through an unaccountable intermediary called the Bank for International Settlements (BIS). 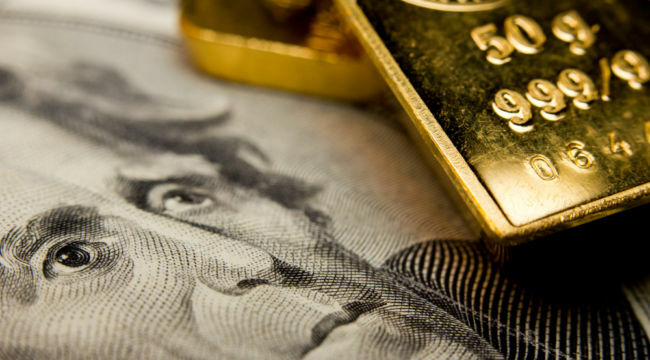 Historically, the BIS has been used as a major channel for manipulating the gold market and for conducting sales of gold between central banks and commercial banks. The BIS is the ideal venue for central banks to manipulate the global financial markets, including gold, with complete nontransparency. Leasing of paper gold by bullion banks allows them to sell the same gold as much as 10 times over to 10 different buyers. It’s like a game of musical chairs, only with more participants and fewer chairs. Someday, probably sooner than later, somebody is going to show up and say, “I want my gold, please,” and the custodian won’t be able to give it to them. What if a major institution wants its gold but can’t get it? It appears that peak gold production is already here. There are no new gold fields of any significance waiting to be discovered. There is no new technology that can extract gold from places where it cannot now be recovered. This does not mean gold production stops — just that output does not increase and will start to go down. Of course, gold exists in minute quantities in everything from seawater to distant asteroids, but the costs of recovery from those sources are astronomical and make no commercial sense. When it comes to gold, what you see is what you get. Yet global demand continues to rise from central banks and sovereign wealth funds in Russia, China, Iran, Turkey, and other countries around the world (not including America, it seems). You don’t need a Ph.D. to realize that if supply is declining and demand is increasing, then gold prices have nowhere to go but up. With limited output but massive ongoing demand, it’s only a matter of time before a link in the physical gold delivery chain snaps and a full-scale buying panic erupts. Then the price of gold will soar regardless of paper gold manipulations. Meanwhile, Fed has paused in its path of rate hikes. The perception of the Fed flipping from tightening to ease has removed a major headwind to higher gold prices and created a tailwind.